I recently visited the Algarve, the south of Portugal, for the first time. It must be a wonderful place in the summer, but I just loved the autumn days we spent there! It is such a diverse scenery: the east is less developed, rugged, with ruins of old houses sprawled around the countryside. The west is more developed, but also has beautiful beaches and lush, green mountains. 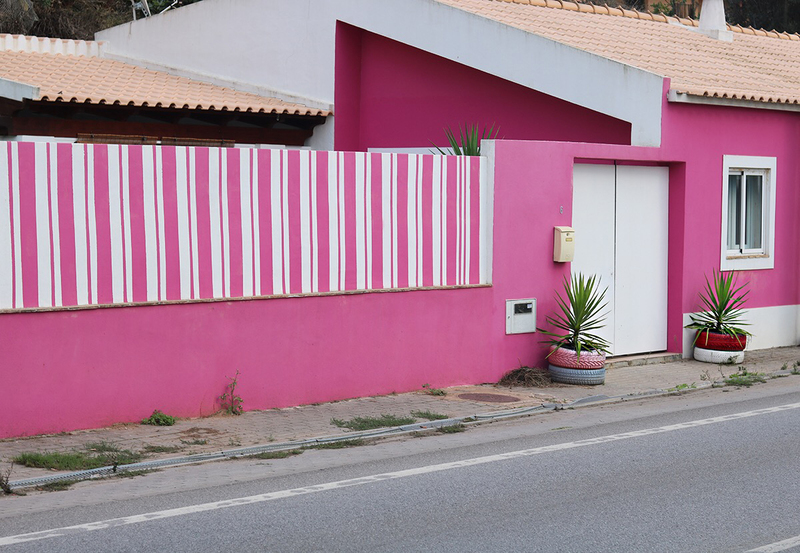 When we were driving from Fazenda Nova in the east to the Macdonald Monchique Resort & Spa, we came across this pretty pink house. We had no time to stop, but the next day we drove by this place again and decided to take some pictures as my dress was the perfect match to fit the pink backdrop. I combined the dress with my Boohoo heels. Usually I wear flats when I’m traveling, but sometimes I switch to heels because I still love how high heels make you feel and walk. Hope you like the pictures! Wow, love the colour of the house. Your dress is so chic! Amazing shots, lovely! Glad you chose this location; compliments the dress beautifully. If I saw this house i would of also taken pictures. The dress is adorable and I love how you styled it. Have a wonderful week! 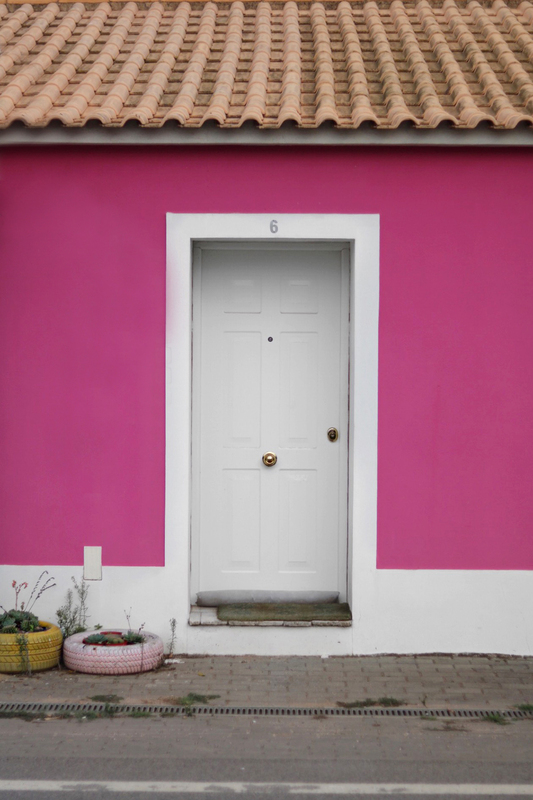 This pink house is way too cute! I love the look and details! Loving the pink house! What a perfect place to take blog photos, especially of this fun dress. 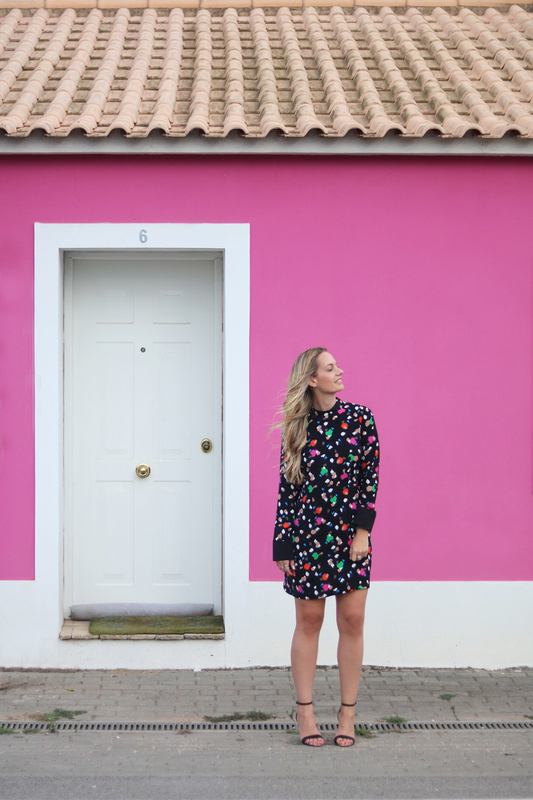 I heard that Algarve is beautiful and those pink walls are just amazing! I hope I will be able to visit it one day! Such a beautiful look and I love the place! Great post, thanks for sharing 🙂 beautiful style and I love the location! wow, the pink house is very lovely and cute 🙂 And you look wonderful! 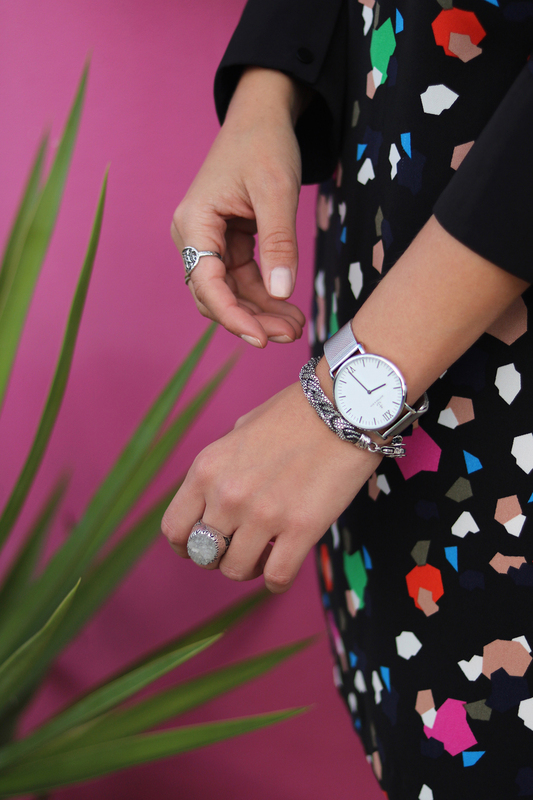 The dress, the accessories and your shoes, every detail is gorgeous! Love your dress. You look stunning in this outfit. 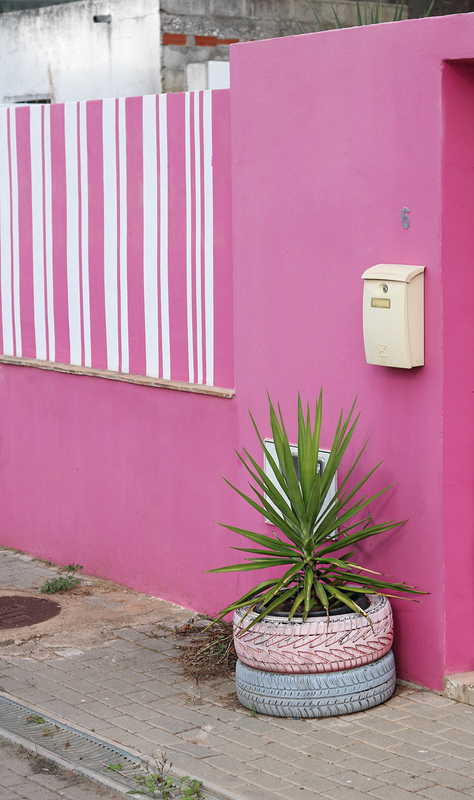 Love how your outfit match perfectly with that cute pink house. Love your dress. You look stunning as always and your pretty outfit matched perfectly to that cute pink house. Love these photos and your dress is sooooo cute! You look adorable! You’re right, the scenery is beautiful. Your dress is pretty and goes well with the background. That house is so cute – love these pictures! Looks like it’s still very warm and sunny in Portugal! Jealous! You are gorgeous…and so is this little house!! Love your outfit! The pink house made a really cute backdrop! The locations is simply perfect, your dress is so beautiful and you are stunning! If I go to Portugal for vacation this year (huge possibility) I’m definitely adding this house to my list of places to photograph! How sweet were the coloured houses there!? I have to look back at my photos! I really don’t think I took enough! I’m absolutely in love with your dress. Amazing pictures.